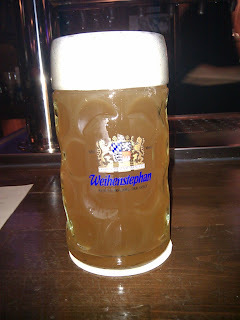 Anyone who knows me knows that Weihenstephaner is my favorite German brewing company; that's just booze 101 as far as I'm concerned. I initially reviewed the brewery here. So when I went to a German beer hall and saw three beers from them on tap I says to myself, I says, "Hey, why don't I get me one of those." Spoiler alert: I did. Anything worth doing is worth doing right, so I ordered a liter of this stuff; costed $20. If you aren't a mathemagican that breaks down to around $6 for 12 ounces; depending on the strength of the yen. 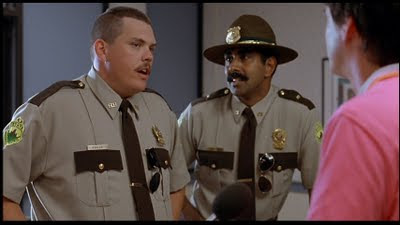 In accordance to reference every single Broken Lizard movie, I also ordered a boot later on. And yes, I did get some on me. 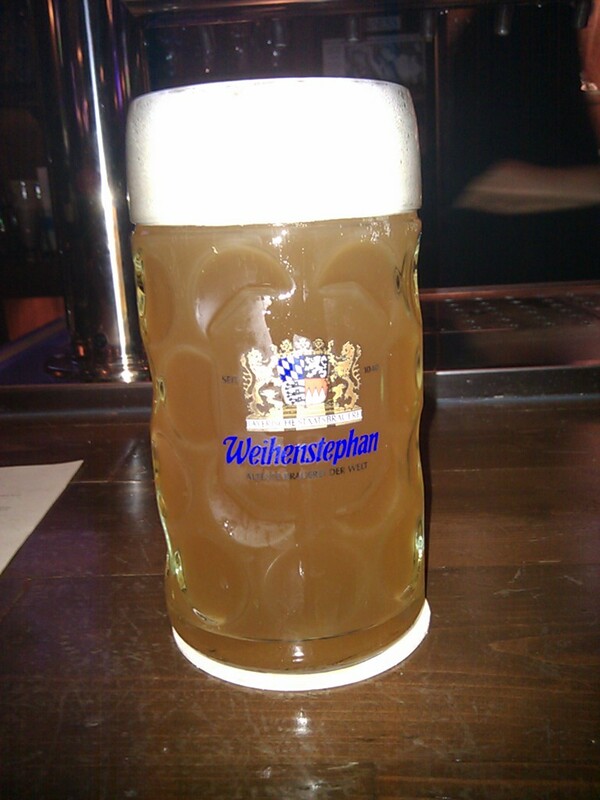 So this is a weizenbock, right? So that means its wheaty and a stepkid of the lager family. They typically have a sweet flavor, like myself, and cloudier than your head after a solid day of binge drinking. This is a nice full bodied brew that will certainly fill you up, even if you don't order a liter of it. Though I still suggest you do. It's got an IBU of 17, which makes it have a relatively low bitterness. And it also has an ABV of 7.7% which could cripple a dolphin! The general taste is a wheaty, full bodies, sweet, citrusy suckerpunch to the kisser; in a good way. It's surprisingly easy to drink and, earmuffs mom, I slammed this in no time. The cloudiness might imply that its heavy, but its slammable and full bodied, which is a treat if you ask me. One of the best things about this beer is that it makes you drunk, like so many other beers before it. These three douchebags wanted to fight our table for some reason and I still know why, but, if you drink enough of these you'll be in a wrestling mood and it won't slow you down when you kick people in the ribs. This is hands down the best fighting beer I've had in a while. I think Rocky drank this in Rocky III, but not when he fought Mr. T, but when he fought Thunderlips. Remember that? Man, that movie rocked. I really like the montage with Apollo Creed too. It was just unfortunate that Thalia Shire ruined the entire series. She was pretty smoking in Rocky I though; what a babe! But I digress. So, to sum this up, Rocky II is my favorite Rocky movie and this beer is great. I wouldn't necessarily buy it all the time because, contrary to what my wife thinks, I'm not made of money! But it's definitely a treat. I think even Hitler drank this stuff, and that dude was pretty clueless. 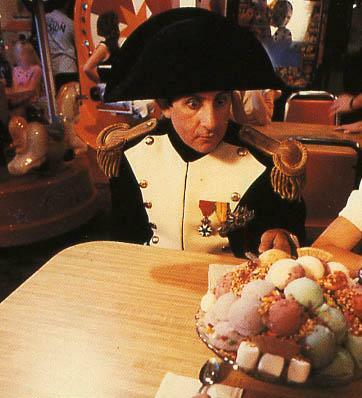 Napoleon probably would have drank it if he wasn't busy inventing ice cream.